It fits perfectly! 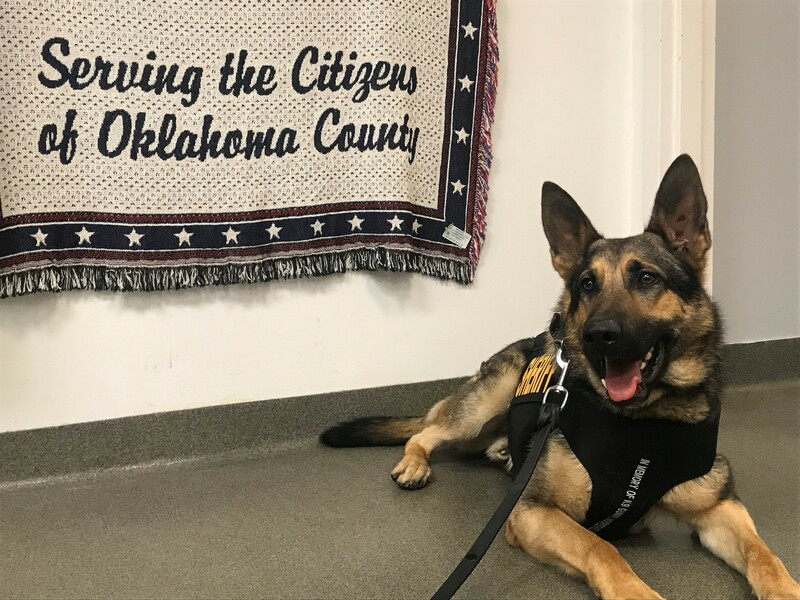 Back in December, the Oklahoma County Sheriff’s Office announce its “K9 Han” service dog would receive some equipment that could protect him in the field. The vest is in. 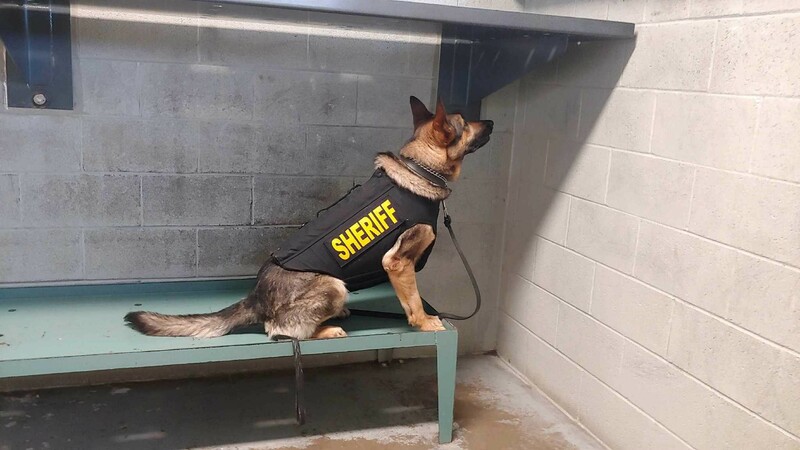 Vested Interest in K9s, Inc. is a 501c(3) charity located in East Taunton, MA whose mission is to provide bullet and stab protective vests and other assistance to dogs of law enforcement and related agencies throughout the United States. 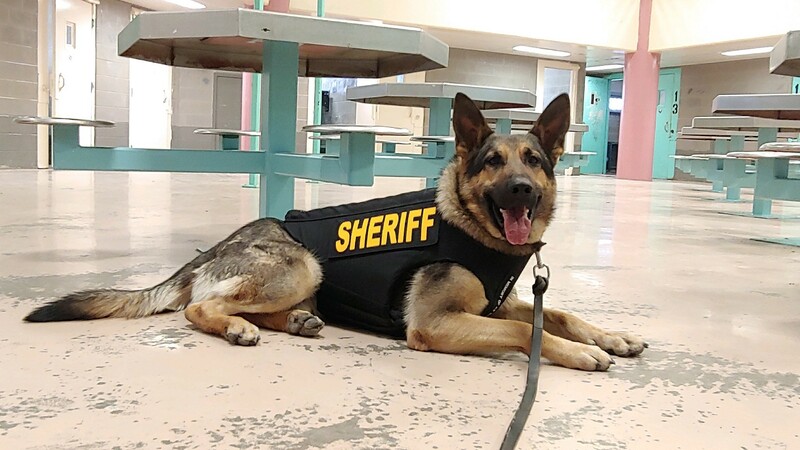 The non-profit was established in 2009 to assist law enforcement agencies with this potentially lifesaving body armor for their four-legged K9 officers. Since its inception, Vested Interest in K9s, Inc. provided over 3,300 protective vests in 50 states, through private and corporate donations, at a value of $5.7 million dollars. The program is open to dogs actively employed in the U.S. with law enforcement or related agencies who are certified and at least 20 months of age. New K9 graduates, as well as K9s with expired vests, are eligible to participate. The donation to provide one protective vest for a law enforcement K9 is $950.00. Each vest has a value between $1,744 – $2,283, and a fiveyear warranty and an average weight of 4-5 lbs. There is an estimated 30,000 law enforcement K9s throughout the United States. For more information or to learn about volunteer opportunities, please call 508- 824-6978. Vested Interest in K9s, Inc. provides information, lists events, and accepts tax-deductible donations of any denomination at www.vik9s.org or mailed to P.O. Box 9 East Taunton, MA 02718.